With our safety net calculator, you can quickly calculate the maximum net deformation and the required number of fasteners as well as all other parameters according to EN 1263-1 and DGUV 101-011, taking into account grid size and fall height. 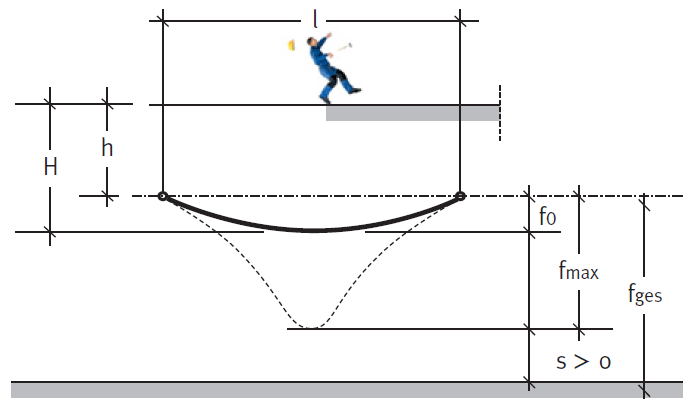 Enter the width and length of the net below as well as the height of fall of the corresponding installation situation. The values are calculated and displayed after clicking on "Calculate". Minimum Number of Fasteners: 12 pcs.